I am DYING for some of the baby burgers! SO SO CUTE!! Can you do 4th of July early so that we have something cute to make??!? I do not know it can be made in such shape.The bees are very lovely.  omg…These are seriously the CUTEST things ever! Burgers and bees! So you keep on teasing me! I have a crazy obsession with creative cooking/baking books and as of now I have three on my list. I was actually discussing this with my husband last night. I need to get “Who You Callin’ Cupcake”, “Sticky, Chewy, Messy, Gooey for Kids” (recommended by you) and your Pops book. The first two I’m planning to get this weekend, but I can’t hardly wait for yours to come out! Ahhhh, the Fall 2010 isn’t coming fast enough! I tried to made cakepops but the taste was strange, like a non-baked dough. I melted quatre-quart and Nutella. Is that normal ? 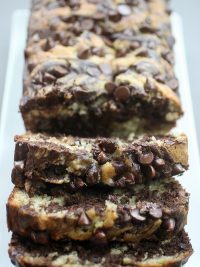 i must try to make those. oh man… those burgers are too adorable!! May have to make some for my next BBQ! I love the little burgers!!! Burger buzz! 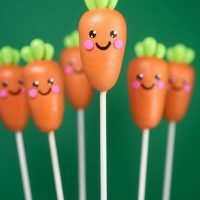 These pops look like way too much effort for a lazy baker like me, but I love to look at them! Awesome work. 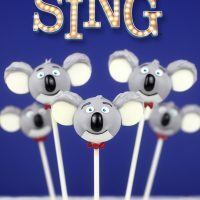 You never fail to amaze me with your cake pops! These are awesome! I’m a vegetarian and these are burgers I’d eat! OMG!!! These are so great! I will need to find an excuse to make them and soon :) Are these ones in the book? Good gracious! Your creativity is unstoppable and these are so cute. I like to stop just to see what you have cooked up for eye candy. OMG – I was just logging on to ask you for some ideas to make a bumble bee (it’s my daughter’s dance mascot). I was thinking of shaping 2 balls (head and body – body tapered for a stinger), and using the candy melts for wings. I was going to use my Cricut Cake to cut chocolate satin ice for the stripes, but yours are soooooo much easier…. A million thank you’s for posting this one….. They are simply the “bees’ knees”! I think they’re adorable. 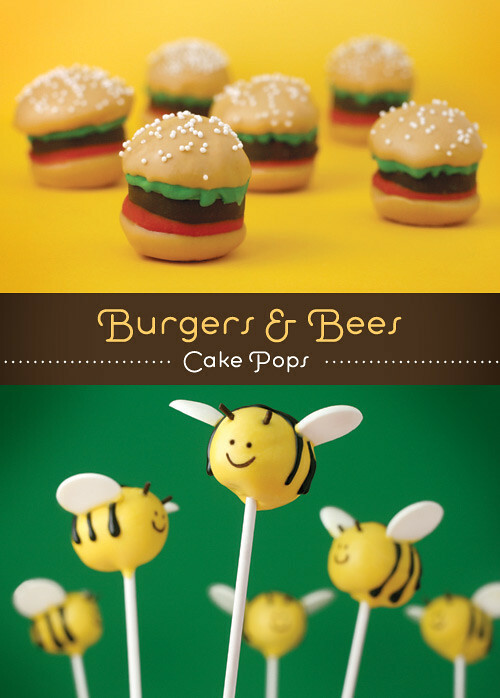 The bee’s are adorable, but I love the little burgers!!!  First time commenter – I seriously love ALL of your ideas. They make me happy :) I wish I had 1/4 of your creativity. Keep surprising us with your great and innovative ideas! THESE ARE WAY TO CUTE! i love those little bees. I just love your creations. They always make me smile. How do you come up with these adorable ideas!!!?? You are my hero Bakerella! 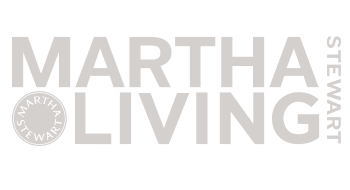 Love your work. Are making my own versions of your cake balls. 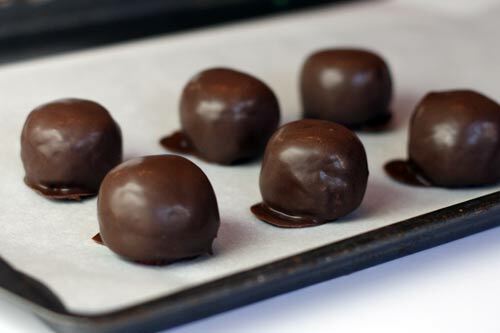 But in Norway, where I live, we don’t have candy melts so its difficult to make anything but dark chocolate cake balls. But that’s okey, they are really great anyway! 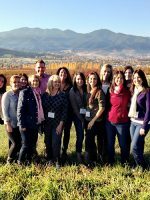 Thanks for sharing your recipes with us! These are perfect for the upcoming company barbecue for which I signed up for a “TBD Dessert” – thanks! love these burgers. great ideas. Oh. Em. Gee. 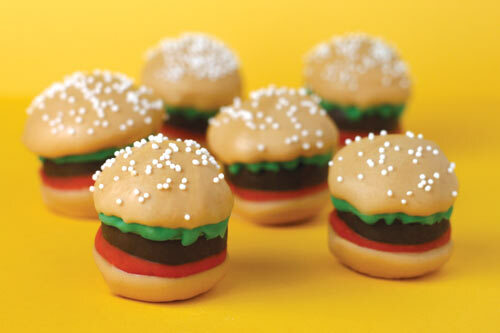 Those wee burgers are so freaking cute I can hardly contain myself. My dad just found out he’s deathly allergic and we’ve been teasing him with random bee-related things. I’m so making these bees for him! I really enjoy the hamburgers. Great for cookouts! porfavor m pueden mandar stas recetitas en español,por favooooooooor! estos chupetines de abejitas stan lindos,pero no entiendo el ingles,por favor contestenme! i would never have the patience to make the hamburgers! They’re so adorable, just like everything else you make. Can’t wait to buy your book! so…my first attempt at the bees went okay. They looked really cute, but how do I prevent them from cracking? When i coated them they were cold and the chocolate hot so some of them split after they cooled down. Any suggestions? oh…and they were a huge hit!! Made a beehive cake for a baby shower and then stuck them in! 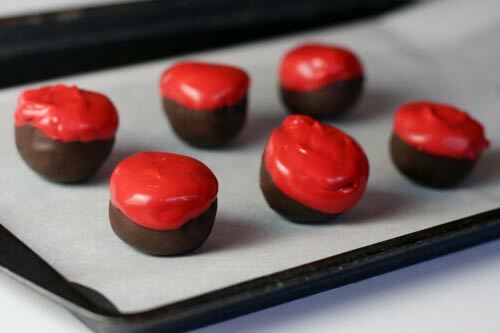 I just have to share this story: So I got all set to start dipping my burger cake balls… I melted my dark chocolate chips to get started, put in the olive oil to thin it out for dipping… which I usually use instead of shortening. After I pulled it out of the microwave I noticed something smelled weird. Certainly not like Chocolate. Then quickly – a flash of thoughts burst through… my mind. That smells like garlic, and then OH NO!!!!!!!!!!! Then… SHOOT! olive oil I bought at the grocery store last trip was something new… infused with GARLIC!!!!!!!!!!!! UGH. Garlic and Chocolate… not a good mix. Out goes that batch! uugghh. Made the hamburger bites yesterday…whew! That was work! I’m glad they don’t all require that amount of dipping. I have to admit though…they are pretty darn cute! Thanks for the great idea! these are so adorable! 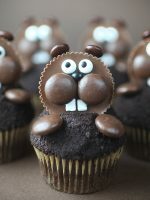 I plan to make them for a party, are they fine kept in the fridge overnight? Well, my burgers turned out nothing like the photos (yours are drop-dead cute, of course), but they are sort of endearing, in a Franken-Krabby-Patty sort of way. They’re for my son’s birthday, and the kid who can guess what they’re supposed to be will win the prize! WOW.. You are amazing. 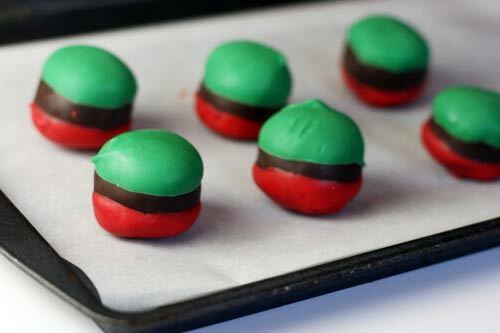 I wanted to know if you have attempted doing Ladybug cake pops. 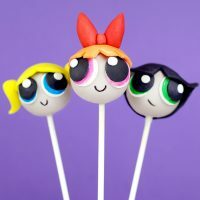 I saw your Bee Pops and thought “how cute this would be if I could do a ladybug pop for my daughters birthday to take to school.” I am going to attempt them, if they come out cute I will post the pick and directions. how cute!!! waw!!! thks for sharing all your ideas!! 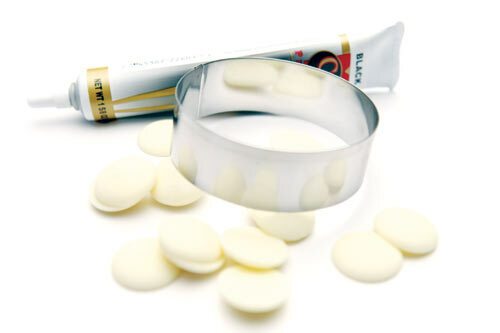 unfortunately i don t have any candy melt here,so i m gonna try these whith white chocolate,melted. but it s hard to get it smooth !! do i have to put some butter whith it to be more liquid or some cream. 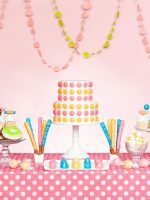 can you give me some advices,because i would definitely try cake pops for my daughter’s birthday. Omg! 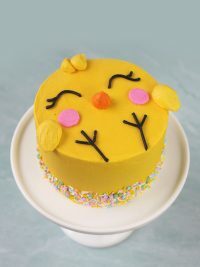 It looks so cute! 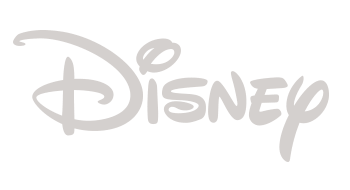 Hi, my name is Rebeca and i’ve been addicted to this site for almost a week now!!! Ummm.. is it normal that i am staying up past 2:45am in love with all of your creations?? LOL!! LOVE IT!! continue doing what you do.. you are amazing!!! I made the bee’s this weekend! Our high school mascot is a “bee”. My daughter’s varsity swim team luv’d them, and so did I! Took me longer than I thought, but it was my first try! Will be making differnet theme’d ones for xmas! Thanks Bakerella! I love this idea!!!!!! And this Website! 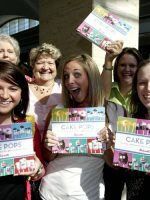 Thank you for inventing the cake pop Bakerella!!!!!! Sooo cute! 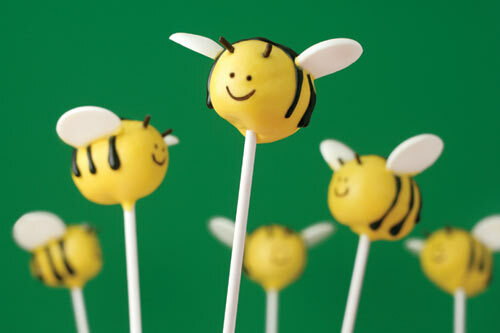 I’m going to make the bees for my sons class “the Busy Bee” class! 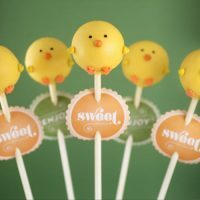 : ) Thank goodness there are only 9 kids in the class – this will be my first attempt at cake pops. Never got enough courage! Beyond Beautiful.. I’m in love with these burgers.. I love burgers and I love cake balls. I found your book at Barns & Noble and I had to have it!! 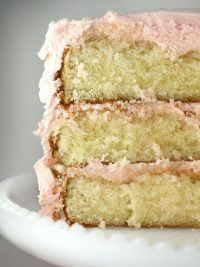 I’m in love with bite sized food and cupcakes, how CUTE that you have merged the two! Can’t wait for MORE!! This is so cute can you tell me how to make the baby faces? I just tried making the burgers.. Mine didn’t turn out NEARLY as adorable as yours! 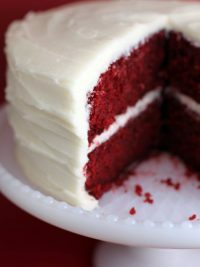 How did you get your icing so nice, and smooth, and consistent? I also only did the “bun” on a few of them because it was starting to tasty too sweet [for my tastes], but all in all it was a fun project to try! [It was also my first try doing ANYTHING like this, maybe next time I’ll stick with regular cake balls!] Thanks for the fun! Amazing, as always! Just so adorable! where can i find candy coating? what is it? Ahhhhhhhhhhhh! I love cheese burgers! Sooooooooo tiny tiny cutesy! Hehe! Like rainbows and unicorn cute. 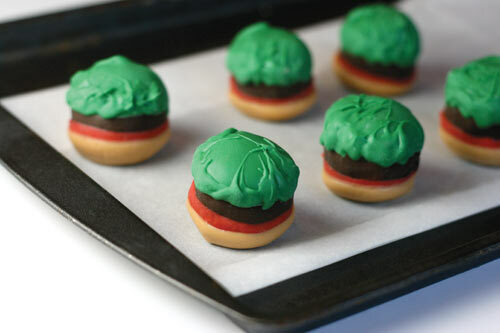 We make the “burger” cookies much easier and they’re delish….use Nilla Wafers for the bun, dye coconut green for the lettuce, use a tub of cream cheese frosting divided in half and use food dye for yellow (mustard) and red (ketchup), then use Grasshopper cookies for the burger and assemble! Voila! 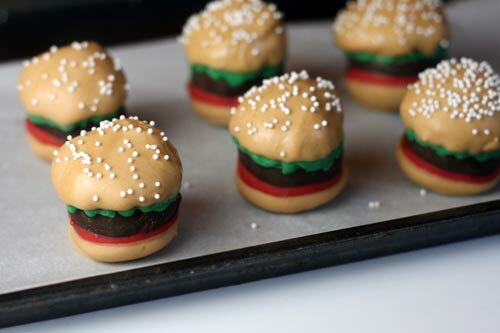 The cutest cookies ever with the lettuce hanging out just like a real burger! I made the bees yesterday and the hamburgers today. This was my first attempt at cake balls/pops so they did not turn out quite like yours! Ha! My kids thought they were cool nonetheless! They were a big hit. 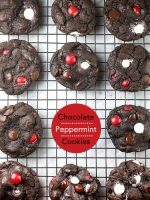 Is there a way to water down the dipping chocolate so it does not go on so heavy? Love the bees, trying them tomorrow. 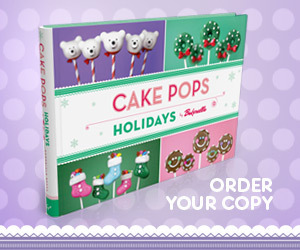 I love the Cake Pops book! Those bees are really nice!!!! thank you bakerella!!! I love it. 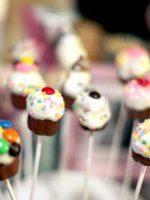 Have you done any cakes of cake pops? Made these for a ba-bee shower last night and they were a HUGE hit. Everyone loved them! I have problems with the food color markers. The candy melts are too oily and the pens don’t work. Any suggestions? Thank You. all your explanations are so clear and inspiring! My friend and I made our first attempt at cake balls recently and althought they tasted great, the look of them was a lbit ess desirable. We used orange candy melts to make pumpkins. They turned out looking more like round balls covered in plaster! 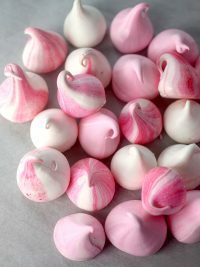 the candy melts were smooth after heating but was not thin enough to just dip the cake ball or to drizzle over the top. We had to apply the melted candy melt with a knife. 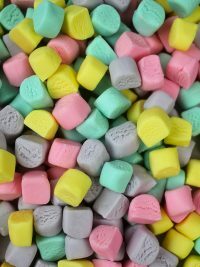 How do we get the candy melt or even chocoate thin enough to dip and come out smooth. We are not to be undetered by our first attempt! We plan to do more practicing. Our family is enjoying getting to taste what we try! I just bought your book and cannot wait to start on some of the projects. They are very cute barkerell. I made your pumpkin cake pops tody they werea complete disaster. How long did it take for you to be so perfect? I didnot know it would be that hard. I wish I could meet you in person. 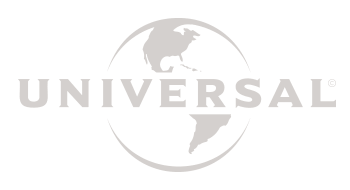 I am gonna try to do and become very famous here in Brazil! Hopefully!!! Would like a catalog please. Thank yoi. i love the cute burgers cake balls!